What happens when you combine clinical big data tools and data with clinical decision support systems (CDSS)? In this 2018 journal article published in Frontiers in Digital Humanities, Dagliati et al. report two such effective implementations affecting diabetes and arrhythmogenic disease research. Through the lens of the "learning healthcare system cycle," the authors walk through the benefits of big data tools to clinical decision support and then provide their examples of live use. They conclude that through the use of big data and CDDS, "when information is properly organized and displayed, it may highlight clinical patterns not previously considered ... [which] generates new reasoning cycles where explanatory assumptions can be formed and evaluated." This brief paper by Ganzinger and Knaup examines the state of systems medicine, where multiple medical data streams are merged, analyzed, modeled, etc. to further how we diagnose and treat disease. 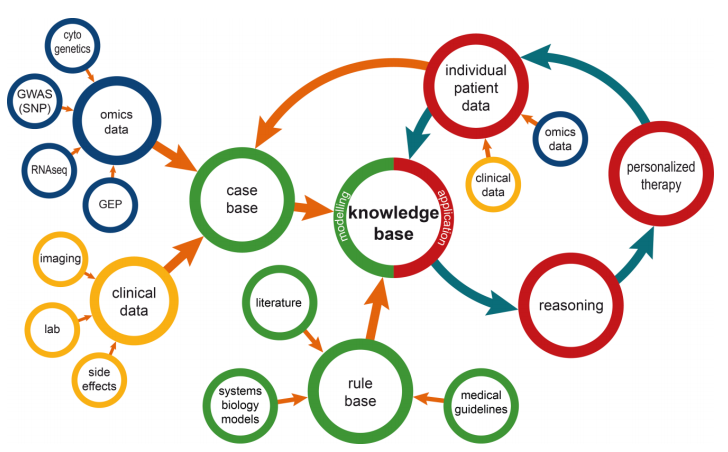 They discuss the dynamic nature of disease knowledge and clinical data, as well as the problems that arise from integrating omics data into systems medicine, under the umbrella of integrating the knowledge into a usable format in tools like a clinical decision support system. They conclude that though with many benefits, "special care has to be taken to address inherent dynamics of data that are used for systems medicine; over time the number of available health records will increase and treatment approaches will change." They add that their data management model is flexible and can be used with other data management tools. We want to share a number of breakthrough developments that have kept us busy in the last months, in parallel with the hard work on the release of our next SLIMS version: SLIMS Cloud and the SLIMS Store. 20 years ago, as a response to the pharmaceutical and life science industries wanting to increase the use of computer systems in the lab, the FDA released 21 CFR Part 11. Let's take a look at where Part 11 started, where it is now, and where it's going. Thermo Fisher Scientific’s SampleManager LIMS™ offers an extensive array of features and capabilities that can benefit your organization. SampleManager’s open architecture provides the tools necessary to transform isolated laboratory data siloes into a connected, global knowledge base that can be viewed and shared across the wider organization, from R&D to manufacturing. 05/02/2018 - Abbott Informatics is pleased to announce the launch of the STARLIMS Public Health Solution PH12.0. The United States Army Medical Research Acquisition Activity (USAMRAA) is conducting market research on behalf of Walter Reed Army Institute of Research (WRAIR), Silver Spring MD. The purpose of this RFI is to obtain information from industry partners with knowledge and experience to support WRAIR with a Laboratory Information Management System (LIMS). The Santa Clara Valley Water District (District) is soliciting Proposals from LIMS vendors that have the professional expertise and experience to provide Water Quality Lab (WQL) at the DISTRICT District with the replacement of the Laboratory Information Management System (LIMS). The Commonwealth of Massachusetts Executive Office of Health and Human Services (EOHHS) is issuing a Request for Information for the solicitation of Laboratory Information Management Systems (LIMS) services to solicit relevant information and marketplace input regarding procurement of an LIMS for the Massachusetts State Public Health Laboratory (MA SPHL), Department of Public Health Bureau of Infectious Disease and Laboratory Sciences (BIDLS).